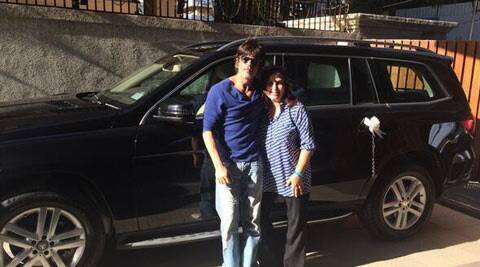 SRK gifted his close friend and director Farah Khan with a brand new SUV as a thank you gesture. Bollywood superstar Shah Rukh Khan is known for showering his friends with expensive gifts and the actor did just the same again. 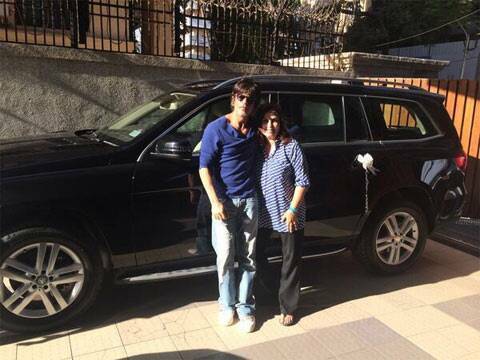 In the picture Farah and SRK are all smiles while leaning against the brand new SUV. Shah Rukh Khan had earlier gifted a bike to his co-star Abhishek Bachchan worth Rs 12.5 lakh. In the past too, SRK had gifted his close friend Priyanka Chopra with an acoustic guitar and then her presented Sanjay Dutt with a cruiser motorcycle costing over Rs 15 lakh. The 2014 Diwali release ‘Happy New Year’ also stars Abhishek Bachchan, Boman Irani Sonu Sood and Vivaan Shah. 3 Want to feature in Shah Rukh Khan's 'Happy New Year'? Here's how!